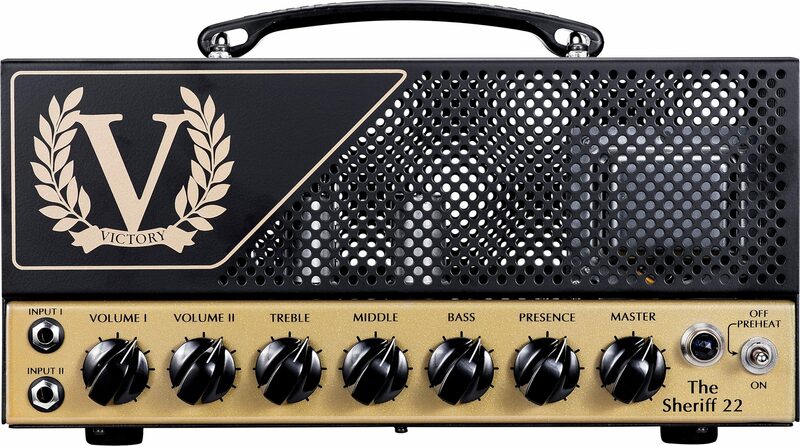 This dual-channel, EL84-powered Victory Sheriff 22 Guitar Amplifier Head is all about classic British overdrive sounds, housed in the same light and portable metal chassis as the award-winning V30 and V40 heads. Blues-rock players will love the mid-60s-style feel and response of Input/Volume I, with enough gain to sing but also clean up well off the guitar. Input/Volume II takes off into hot-rodded 70s and 80s territory and beyond, retaining that classic British 'plexi' sound all the way. A separate speaker out gives you bedroom level cranked tone at just 0.3 watts. 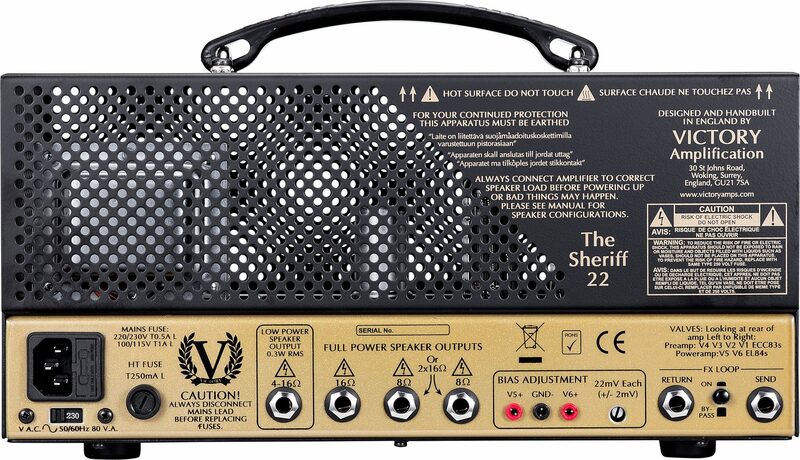 The Sheriff 22 is for rock players who want to travel small but go over big! - Padded carry bag included.